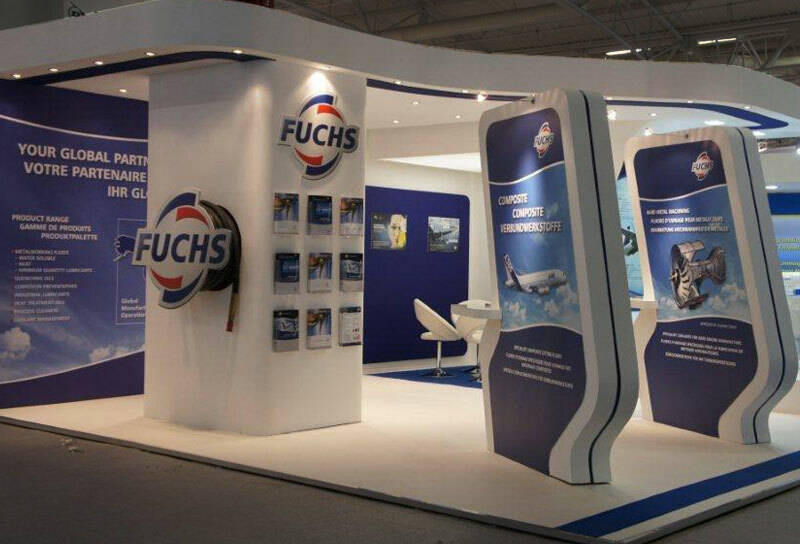 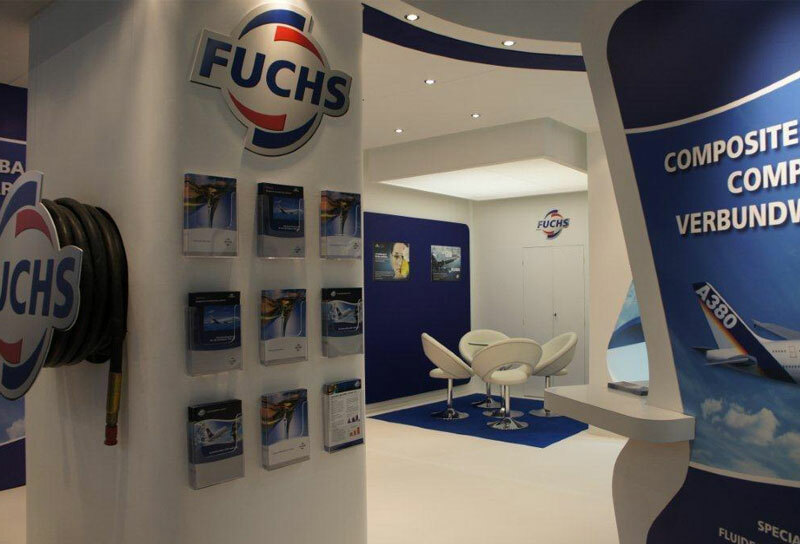 One of our most exciting projects was designing the graphics for the FUCHS International exhibit at the Paris Airshow. 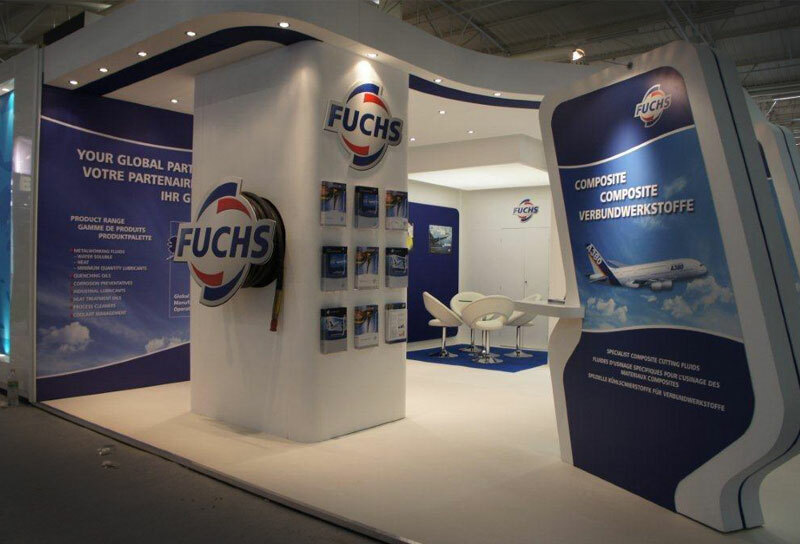 As this exhibition was to be held in Paris and there was an extremely tight deadline, we had to ensure everything was right first time. 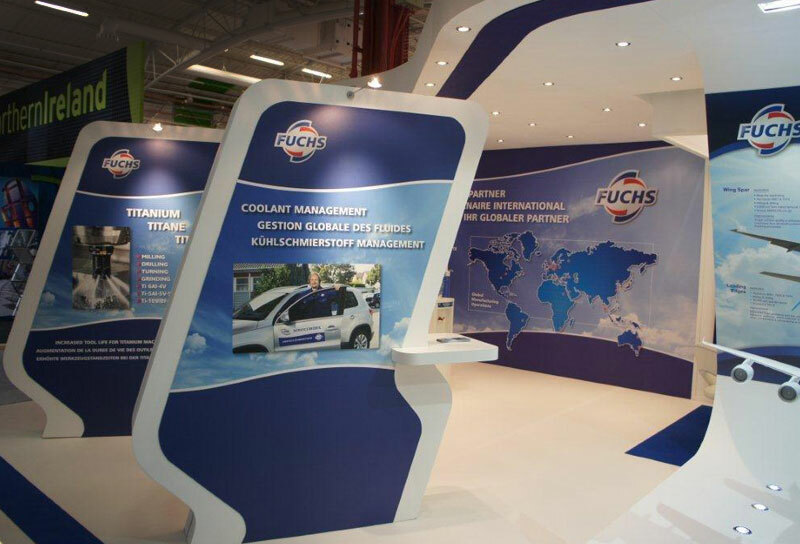 So after liaising with the set designers and the printers, we created eye-catching graphics which fit the specifications of the pods, stands and backdrops exactly, resulting in fewer headaches for the exhibition builders on-site. 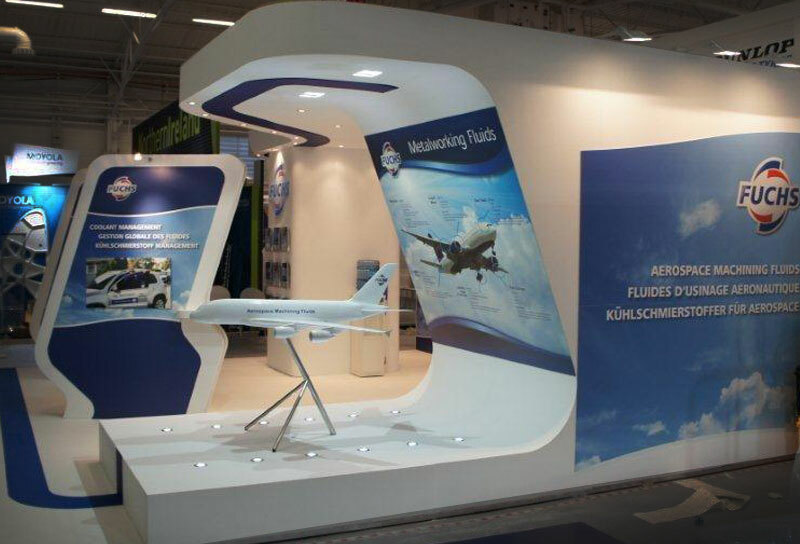 I’m just writing to pass on the many positive comments I have received from our colleagues from Paris, Germany and the UK who attended the Paris Airshow. 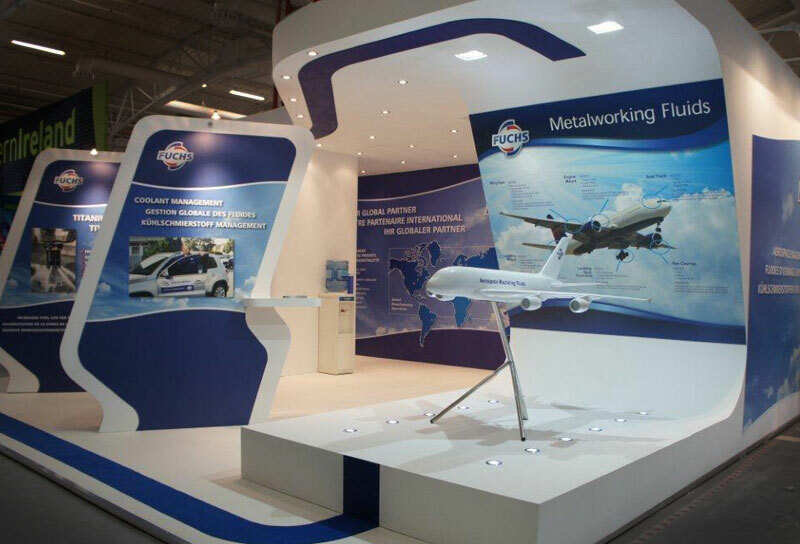 The artwork you created looked stunning and my stand builder found the files you created very easy to work with. 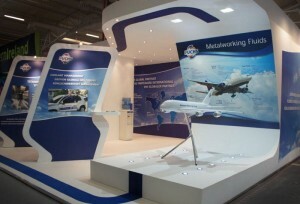 Great job well done.